Four years ago in London, we saw a heart-broken Ding Ning in the finals of the Olympic Women's Singles final. Four years after, she showed up in the same stage but registered a contrasting result. The 26-year old player is now the latest Grand Slam champ in the women's division. For her, this is definitely not the end of her career. That is what Ding Ning said when asked how she felt about her victory in the recently concluded Olympic Games. Rio de Janeiro was a successful stage for Ding Ning following her triumphant quest for the Olympic Singles gold. Four years ago, Ding Ning faced a heart-breaking defeat in the Olympic Singles final against Li Xiaoxia. Her confidence was crushed causing her to lose the Olympic gold medal. But four years later, Ding Ning finally established a much stronger confidence. She has invested a lot for the competition and hence enjoyed the final bout. “Four years ago in London, my condition was affected by the umpire’s penalties. Eventually, I lost. I was in the arena four years later and set aside my defeat in London. I invested my everything in this competition. The final match was an enjoyable moment for me so I did well,” she explained. 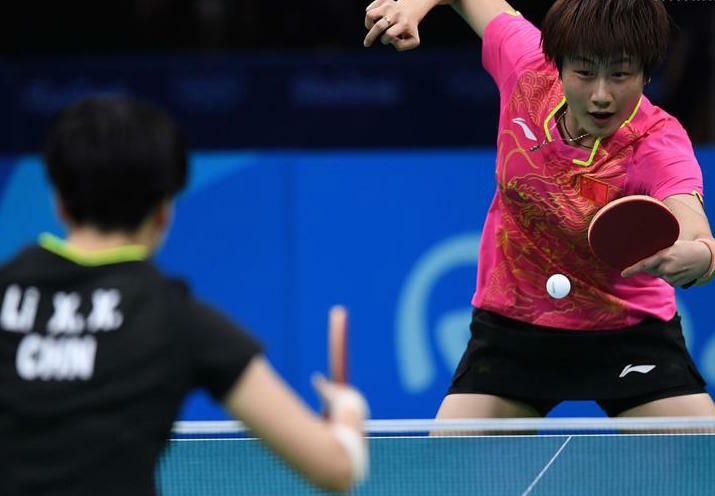 Ding Ning is now the leader of the Chinese Women’s Team following the retirement of Li Xiaoxia from the international circuit. This is of course a responsibility for Ding Ning. “I have been preparing but I also need a long time to gain experiences. Actually, the Chinese Team has placed emphasis as a team and not as individual players,” she added. Unlike Li Xiaoxia, the latest Grand Slam champion in the women’s division still sees a long future in her career. In fact, she still aims to be a much stronger player in the future. “The Olympic Games have just ended now. The whole team is still in the stage of rest and summing up. I will be facing new challenges and difficulties after I completed the Grand Slam. I need to learn a lot of things to enrich myself so that I will be much stronger,” Ding Ning concluded.